I am so excited to announce that I am going to be a part of the Let’s Face It – 2018 Team! LET’S FACE IT is a course created and hosted by Kara Bullock. 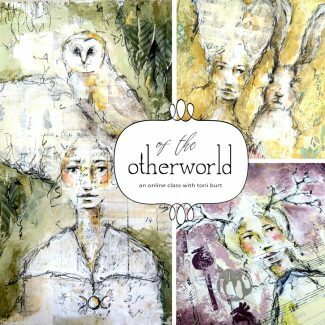 It is for anyone that wants to practice creating portraits and figurative art, but is especially designed for those of you that have felt scared or intimidated to do so at some point in your life. In 2018, we will be studying the different art movements and master artists from those periods! 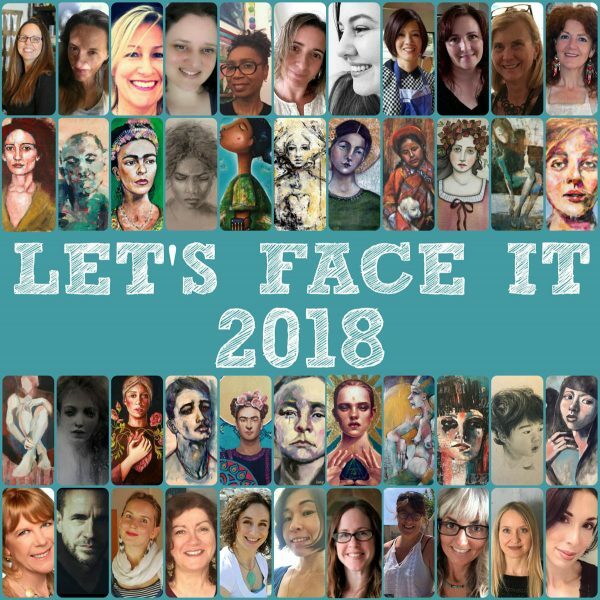 I am so excited to announce that I am going to be a part of the Let’s Face It – 2018 Team! Yahoo! I loved being a guest teacher in 2016 and am overjoyed to be back! LET’S FACE IT is a course created and hosted by Kara Bullock. 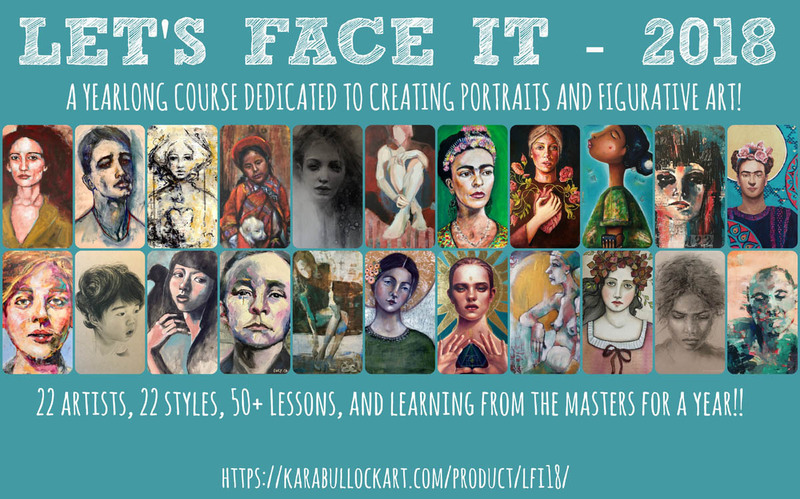 It is for anyone that wants to practice creating portraits and figurative art, but is especially designed for those of you that have felt scared or intimidated to do so at some point in your life. Together, we want to share with you our strategies, tips, and techniques that we use in order to create our faces and portraits. You will leave this course feeling confident enough in your skills to never feel intimidated again! In 2018, we will be studying the different art movements and master artists from those periods!